"Walking into Advent can be like walking through the wardrobe." With its enchanting themes of snow and cold, light and darkness, meals and gifts, temptation and sin, forgiveness and hope—and even an appearance by Father Christmas—C. S. Lewis's The Lion, the Witch, and the Wardrobe fits naturally into the Advent season. As the reader seeks a storied king and anticipates the glorious coming of Christmas, these twenty-eight devotions alternate between Scripture and passages from the novel to prompt meditation on Advent themes. Each devotion also includes questions for reflection. 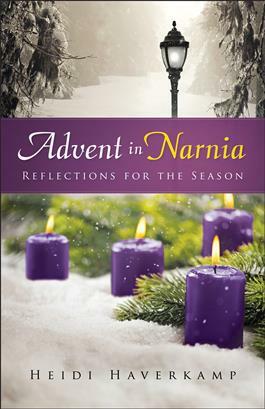 The book also provides several resources for churches, including four sessions for small group discussion and ideas for creating a "Narnia Night" for families. Readers will ultimately come to know God better while journeying through Narnia.